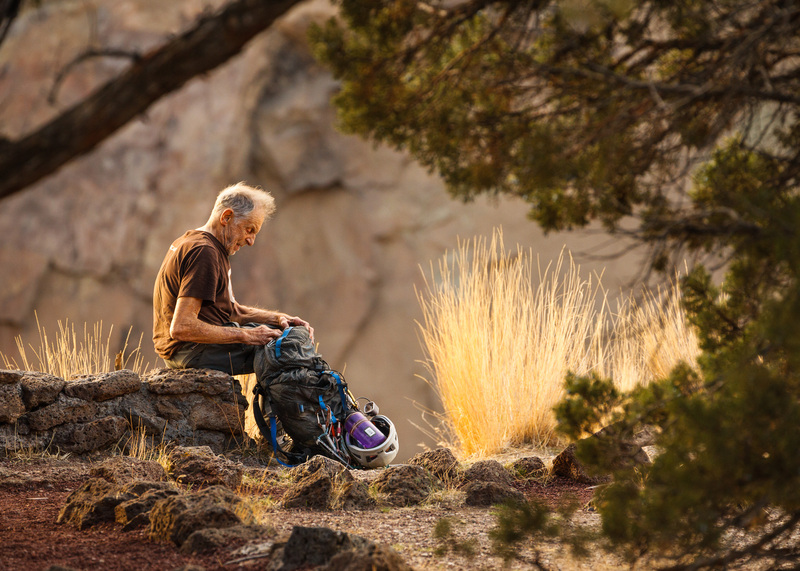 Climbing legend Fred Beckey still at it at eighty-eight years old. Here, he sits down for a rest after hiking out from a day of climbing at Smith Rock, Oregon. He drove five hours each way from Seattle to do two pitches—that's dedication.